The Four Seasons at Southtowne apartments, South Jordan, UT offer a great package of both in-apartment and onsite community amenities for residents to enjoy. Apartment homes have in-home washer and dryer, located in a utility space just off the large, spacious kitchen, which is complete with a dishwasher, refrigerator, and microwave. Painted accent walls, 10-foot or 16-foot vaulted ceilings, wood grained flooring, and black appliances provide a great foundation for incorporating your own style, whether that is modern or country chic. 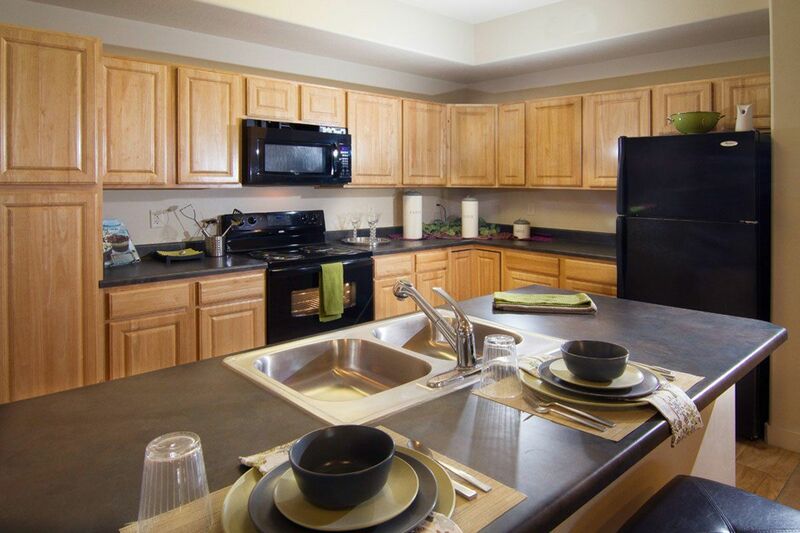 If youâ€™re looking to move right in, ask about currently available furnished apartments. When youâ€™re not spending time in your home, enjoy a number of resident events and activities provided by Four Seasons. You can also enjoy the sparkling, resort-style heated pool and spa (with convenient Wi-Fi access), courtyard, barbeque grilling stations, and picnic tables. Want to get in good workout? Stop by the 24-hour fitness center. Skip the expensive movie theaters and utilize the communityâ€™s multimedia theater room for an immersive experience. No need to sneak in candy here!